A refrigerated cooler is an insulated box which is typically used to keep food items cold. However the difference between a cooler and a refrigerated cooler is that the refrigerated cooler does not use ice. A refrigerated cooler can be used on boats, in cars, on the back of trucks or even poolside. There are many applications for a refrigerated cooler. In the case of boat use, the Frigid Rigid refrigerated cooler is powered by solar and can keep food items cold without using valuable battery life. In the past, the concept of having a refrigerated cooler has not been applicable. 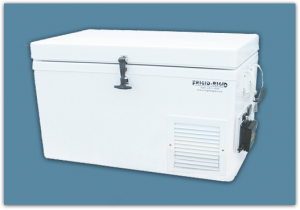 Frigid Rigid has provided the technology needed to have the best available refrigerated cooler. Another application for a refrigerated cooler is camping. When someone is camping, ice typically melts quickly in regular coolers but the refrigerated cooler can keep food and drink items cool for the duration of the experience.